JANUARY 29 — The Australian Open is over for another year but what a tournament it was. There were comebacks and upsets, but the one thing that really stood out was Roger Federer and his status as potentially the greatest tennis player of all time. He managed to lift an unbelievable 20th Grand Slam title in Melbourne, proving that he’s still got it and that age is indeed no issue. The tournament itself was full of highs and lows, so let’s take a look at some of the best bits. Apart from Federer’s success, you could say that the real winner in Melbourne was women’s tennis itself. 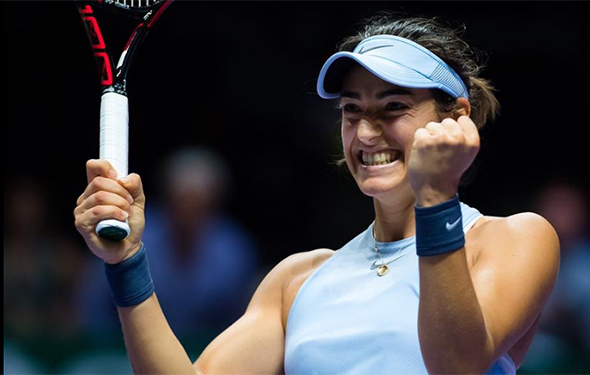 When it came to the best matches throughout the tournament, they were mostly women’s singles and Simona Halep’s win over Lauren Davis was the potentially the stand out tie. Halep won 4-6, 6-4, 15-13 even after being triple match points down in what was the longest women’s match of the whole tournament. 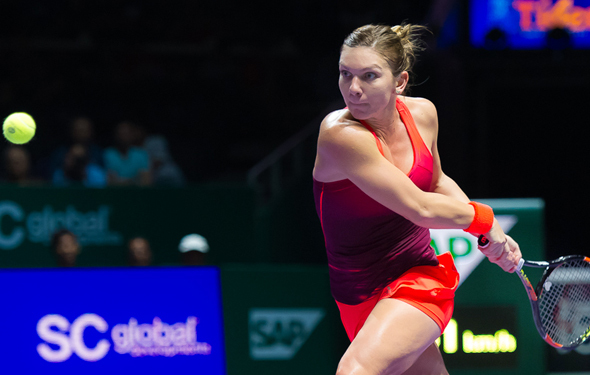 Davis excelled and was at the top of her game, but Halep just had the edge. There has to be a special mention for Caroline Wozniacki too. At one point in the final set against Jana Fett in the second round she trailed 5-1 and 40-15, but she remarkably managed to save both match points; and went on to win six games in a row. She also produced a stunning cross-court backhand against Simona Halep in the final, earning herself match point, which she went on to duly take winning the women’s singles. There were some great newcomers to the tournament too and at just 15 years old, Marta Kostyuk became the youngest ever player to win a game at the Australian Open. She beat Peng Shuai in the first round, who was 25th seed and then went on to beat Olivia Rogowska. She unfortunately lost to her fellow countrywoman, Elina Svitolina, in the next round but it could be the start of a great career for Kostyuk. It was again a disappointing tournament for Rafael Nadal as he was forced to retire in the final set of his quarter final match against Marin Cilic. It was a hip injury which forced the Spaniard to withdraw and you could say that tournaments feel a bit less special without Nadal still in them. Britain’s hopes in the men’s singles relied on Kyle Edmonds with Andy Murray out due to injury and he did superbly well to reach the semifinals. Edmonds beat No. 3 Grigor Dimitrov in the quarters with arguably his best performance over the course of the two weeks and in doing so became the only other British man to reach the semis at the Australian Open for 41 years, alongside Andy Murray. All in all it was a really great tournament which saw women’s tennis really shine and prove just how entertaining it is. The Australian Open of 2018 really belongs to Roger Federer though as he once again takes the plaudits and deservedly so. A 20th Grand Slam title is no mean feat, especially when people felt his best days were behind him. However, Federer fans will expecting more from the Swiss player; with renowned sports betting sites like Unibet already having him as the 7/4 favourite to win at Wimbledon. There is no doubt the Australian Open has set the bar for 2018, and fans will hope this year will be one of the most memorable in the tennis world. Provided article written by Hans Peter Fritz who studied journalism at the at the University of Stellenbosch. It is pretty obvious that Federer is a big favorite against versus Cilic. Yes, the Croatian did upset the Swiss in the 2014 US Open semifinal. 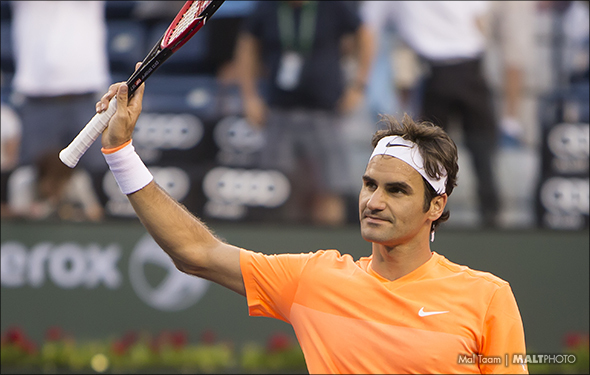 Marin played spectacular, while Roger played below his high standard. But props to Cilic, who won the event, the first time and the only time. However, mentally, he was so focused and he swung away, anywhere he wanted to do. But beyond that, Federer is clearly better than he is. He has beaten Cilic eight times. Last year, he crushed him in the 2017 Wimbledon final — although Cilic was physically hurt — and the Federer knocked him off in the third set during the ATP Finals in London. At the Australian Open on Sunday, the battle is on the hard courts and, for the first time, that they will face off in Melbourne. They have played each other many time – at the ATP World Tour Masters 1000s. Federer beat him in Paris, Monte Carlo, China and Canada. So really, the tall and his huge serves can be very good, but how is Cilic going to fool him when they start to rally? That is a huge question. Cilic does have a small opportunity, but he is going to have to be much more aggressive, hit the balls very deep and put it away whenever he gets a chance, when he goes for it. Federer has an incredible variety as he covers the court, dominating both with his forehand and his backhand, slicing, with spin, and flatting it out. The 19-time Grand Slam Federer almost knows everything. Well, not everything, but darn close. But you know what, once in a while, you can go on court and you can play like garbage. Even if you try so hard, still, your racket doesn’t want to play today, it wants to go home now. It has happened to everyone — even with the great Roger Federer. Will that happen with the Swiss who has shown some anger and upset? I doubt it, because that has been very rare. But let us imagine that Cilic will come on court and begin to play as well as he can. And then, he wins the first set. Now he is thinking that he has a real chance to win. He can feel it. But, if Cilic loses in the first set, see ya. Let’s imagine that after the first set, the Croatian was really into it. However, Federer will be composed, he will begin to improve rapidly, and then all of sudden, he was right there, kissing the lines, all the time. Federer wins the second set easily, and in the third set, it was darn close. 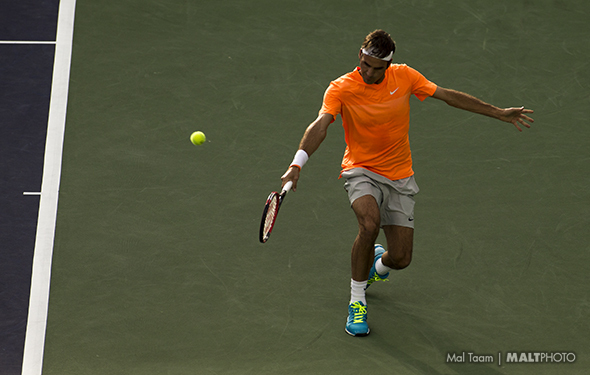 Fed can use his sweet serve and it will beimpossible for Cilic to touch them. In the fourth set, Federer will fly away. I am not sure that it is a toss-up, but it will be super close. Over the past decade, they have been two excellent competitors. They are fast, with strong legs, and they will always compete until the sun goes to sleep. However, they have yet to win a Grand Slam, which is in quite surprising, considering the quality of their groundstrokes. This match will get one of them to the promised land. One of them will smile so high into the sky, and the other will weep. Both of them do not love coming to the net, and the second serves are marginal, but they have two amazing backhands, crosscourt and down the line, and there forehands have a lot of spin and bite. They both have terrific returns, and they can mix it up when they are poised. Here is the reality: Both of them have gone deep at the Grand Slams, yet they have frozen up. Halep did that in the final at Roland Garros against Maria Sharapova. It was 4-4 in the third, Maria rose, and Simona backed off. She also let last year’s French slip away to Jelena Ostapenko, who still has only two WTA titles. The same thing goes with Wozniacki: In the semis of the 2011 Aussie Open against Li Na, she had a match point in the second set, she couldn’t convert. After that, she began to push the ball. She had just one more winner. And she lost. Yesterday, both of them admitted that this time around on Saturday, they won’t be afraid. In the third set, they promise to … attack, attack, attack. Halep proved that even when she isn’t playing well, she can hang in there. In the semis against Angie Kerber, Halep just kept battling and when she had an opportunity, she went for it. She won 9-7 in the third. That was spectacular. Will that match and the 15-13 third-set win over Lauren Davis have drained her? We will see. The Romanian Halep will do it again, beating Wozniacki in three tough sets. The No. 1 will finally become the true champion. We all know who Caro is, but who is Elise? In the semis of the Aussie Open? Clearly, she is very talented and driven. She is pretty quick, stable and she focuses. As long as she is healthy, the 22-year-old will be around for another decade, moving closer into the top 10. Or the top 5. Or No. 1, someday. We don’t know yet. But we do know that Wozniacki has been there since the dawn of time. That is a joke, but really, she has played hundred of matches, and even when she started 10 years ago she was already so quick and her backhand was phenomenally good. Hopefully, she won’t get super nervous at the Grand Slams because she has won many important tournaments, but she hasn’t won a Slam yet. Eventually, I would think she will. But, at the AO this week, she is not the overall favorite until she finally grabs a major. Caro will win this match against Mertens, because Wozniacki will breath and crack her first serve and her heavy backhand. 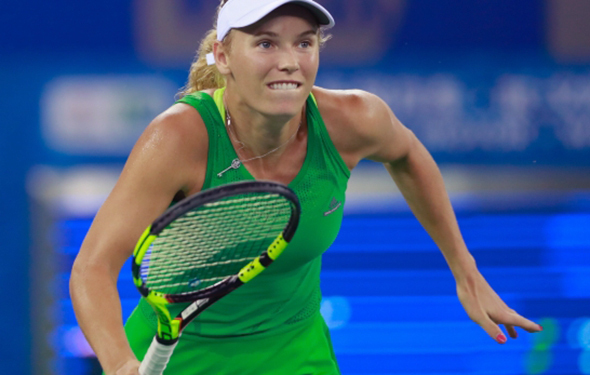 Wozniacki will win in straight sets. Two days ago, I thought that both Halep and Kerber would have have to play many hours against Karolina Pliskova and Madison Keys. But, both contests wer super short, because Simona and Angie played spectacularly good. While the other two couldn’t find the solution. Hopefully, later tonight, both Halep and Kerber will play extremely well and then, it will be a heck of a match. Both are very strong, fast and super consistent. They move quickly side-to-side. They hit crosscourt and down the line. Neither of them like to go to the net, and neither of them have a huge first serves, but they return so well. They move forward and jump of the balls. This fortnight is a huge opportunity. Still, this is a real pick-em. The two-time Grand Slam champion Kerber is totally locked in. Angie will win in three fantastic sets. A toss-up? Maybe. 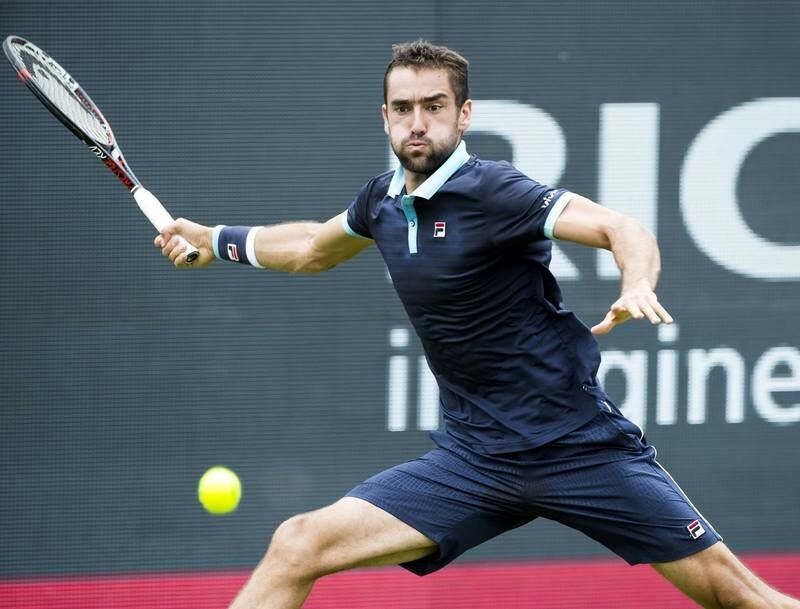 We all know that Cilic studies hard, he mixes it up, and when his body is feeling good, he can swing away. He has a gigantic serve, a massive forehand and his backhand down the line, has improved over the year. Until last year, Edmund was up and down mentally. When he was close to winning over the good players, he would hit some crazy shots and lose. But now, not only can he hit some huge shots, he is also very steady and he could make better decisions. The Brit has already won a few marathons against some excellent players. The former 2014 US Open champion Cilic wants to reach to the final in Melbourne — badly. He will win in four tough sets. The Spaniard had a pretty tough night against the improving Diego Schwartzman.Nadal won, but it took nearly four hours. He has been there before, and the No. 1 will be there again, but still, it is somewhat early and he has to make sure not to get hurt at all during the AO event. For Nadal, the good thing is when he is on court against Cilic, they won’t have too many rallies, The very tall Mario is a terrific player, but he isn’t that fast. Cilic has a big serve, his heavy forehand and he can mix it up, going down low. Yes, Cilic can upset Nadal, if he is playing amazing, hour after hour, but in reality, Nadal has won 16 Grand Slams, and Cilic has won just one — at the US Open. Clearly, over the past 13 years, Nadal has been a better player. With his phenomenal forehand and his tough return, Nadal will win in four sets. Dimitrov is totally on fire. He took down the Aussie Nick Kygrios on Saturday night, and now, he is locked in. Brit Edmunds has had a fine tournament this week, and he has improved a lot over the past year, but when is he going to figure out what to do with his weapons? Here and there, yes, but Dimitrov has so much variety, when he needs it. The Bulgarian wins in straight sets. This should be a very interesting match. They have never faced off against in the Grand Slams. In 2016 Tokyo, Caro won 6-4 in the third on a hardcourt, and in 2017 Madrid, Carlo won 6-4, 2-6, 6-2 on clay. Wozniacki has been better than Suarez over the past 10 years, as she has won 27 titles, while the Spaniard has only won a few. Yes, Wozniacki can fall flat here and there, but in the past 12 months, she has changed it up a little bit and once again, she is very focused. Suarez practices all the time, she goes from tournament after tournament. Even though she can sit way behind the court, she mixes it up consistently. Plus, she actually has a one-handed backhand, which is very unusual on the WTA. It will go three sets and both of them already know that they will be there for a solid two hours, rally after rally. Neither of them ever gets tired. You never know with Caro: will she be aggressive, or push the ball. Either way, she will win to advance at the semis. Ukranian Svitolina is coming very close to No. 1. Maybe next week, maybe in a few months, or towards at the end of the year. But first, she has to take down Mertens, a very good player. There are times that Svitolina gets angry, inside her head, but she is so driven. She has a terrific first serve, and loads of spin, and she can nail her forehand and her backhand. Mertens hustles, too, and everyday, she gets better and better. But can she upset Elena? I cannot see it, yet, but maybe soon. Svitolina wins in straight sets. This has to be a tossup. They have only faced each other twice, only the hardcourts. The Frenchwoman won in Fed Cup; the American Keys bested Keys in 2016 Wuhan. Since then, Garcia has risen because last fall she finally became aggressive, smarter and confident. At times over the past four years, Keys has been very good, bad and so-so. But right now, Keys is finally happy, she is healthy and she can finally breath again. The same goes with Garcia: When she was way down, she could become depressed, and she would mentally walk away. But now, she never gives up and she returns very well. Plus, she plays a lot of doubles and she can put it away at the net. Keys is a huge first serve, as well as her heavy strokes. It will be a long battle, but in the end, the American will outlast Garcia in three heavy sets. It took the No. 1 Halep, what, nearly four hours to win over Lauren Davis on Saturday. What a marathon! As Halep said, she almost died. But she is still in there, and she is incredibly strong in her legs. At least by Monday, Halep will have recovered. Osaka is a solid hitter and upset the Aussie Ash Barty. That was a huge win. She is only 20 years old; clearly, she is coming up. She will try to out-stroke Halep, but Osaka needs more time to mature. Simona will win in straight sets. We all know that when the Serbian is locked in, he can thump anyone. But, last year, the very young South Korean Chung was pretty good and continues to improve. In the fifth set against Sasha Zverev, he blew him out 6-0. Ka-boom. Chung is super steady, and very quick. Of course, Djokovic is the favorite as he has won six titles at the AO. He was frustrated last season, he was very hurt, but now, he is healthy and driven. Djokovic will win in four sets, but there will be some very long rallies. Yes, there is one US male left, the tall Sandgren. The American has been around for eight years. He has struggled, year after year, because he isn’t that fast, but he has a huge serve, and he can crack his forehand. One way or another, Thiem will wear him down and win in four sets. This should be an amazing matchup. Both of them have won Slams, both of them have been No. 1, both of them never, ever give up. They work out all the time, they are incredibly strong, they are very smart and they think about exactly what they should doing. Neither of them likes to come into the net. However, Maria can crush the ball from both sides, and Angie goes side-to-side as quickly as just about anyone. They have played each other seven times: on grass, on clay and on hardcourts. Sharapova has won four matches, and Kerber has won three. Maria beat her at the 2012 Aussie Open, and Angie grabbing her at the 2014 Wimbledon Open. They haven’t played each other in nearly three years — too long. The veterans now each other well, and they both want to go on court and see who is playing as well as she can. Last year, Kerber was flat while Sharapova missed most of the year due to suspension and injury. But perhaps they will rise this season and come very close to winning a major again. Perhaps, next week, but only one of them can reach the trophy. Over the past few weeks, Kerber has played excellent ball. Maria hasn’t played much during the past few months. Kerber will win in three sets, in a fun marathon. I am still waiting for the former No. 1 Pliskova to finally win a major. This year? Hard to say, but she rarely backs off, which is good. Safarova is a terrific player at the net. Here is another tight contest. If the tall Pliskova is calm, she will win. If Safarova serves big and moves the balls into the corner, she will win. I lean to Katarina who will win with a few stunning and flashy down-the-line backhands. These two have known each other for many years, and once again, they are very close. The Argentine won a major a long time ago, at the USO, while the Czech has reached the final at Wimbledon. They are tall, they both have massive first serves, as well as some huge forehands. They don’t run very fast, but good enough, and when they get to the net, they can bend down and put it away. Berdych got hurt last year and he has yet to recover. DelPo has looked pretty good, but not spectacular — yet. Still, as long as the Argentine can hit his backhand — his one-hander and a two-hander — deep, he will win. DelPo dearly wants to reach to the second week. He will in four sets. Two young players are getting better each month. Zverev is already in the top 3, while the South Korean is more tempered now. He won the Next Gen ATP Finals in Milan right at the end of the year. However, while Chung moves around the court quickly, Zverev is a gigantic hitter — everywhere. The German will win in four sets. It has been a long time that Novak has been on court. He’s been hurt physically, as well as mentally. On Tuesday, when he walked on court, you figure his first thought was that he was finally back. He sure is. The former No. 1 is an excellent player, who has improved so much over the past decade. But now, he has to re-charge his battery. The funny Gael is a veteran player and he has reached the semis twice at Roland Garros. Every year, I thought if he was healthy, he could win a major. When he is focused, he is phenomenal. But he has not changed his tactics, especially because he lives too far behind the baseline and his backhand is marginal. That is why Djokovic is better; without a doubt, his backhand is substantially better, and he hits it very deep. He is super-intense. Novak will win in four sets, but it should be some terrific points. The Romanian Halep is No. 1, which is just fine, but she has yet to win a Grand Slam. She absolutely has to. She has come very close, but in the finals at the majors, she backs off and inside in her head, she blinks. And then she is gone. However, Halep moves so well, and she runs and runs without getting tired. She is incredibly strong. Now Halep has to go up against the Canadian Bouchard, who was stunningly good in 2014, when she reached the final at Wimbledon and in the semis at the Aussie Open. She is a huge hitter, and moves forward like an animal. But over the last three years, Bouchard has played terrible. Last year, she did win a couple events, but other than that, she was losing in the first round all the time. Right now, she is barely in the top 100, considering that in 2014, she was ranked No. 5. That is kind of crazy, given that more or less, her body is just fine. One day, she could rise, but Genie has to become much more mature. Go out and battle and forget about the negatives all the time. But even if Bouchard players very well, Halep will out steady her. Simona will win in straight sets.